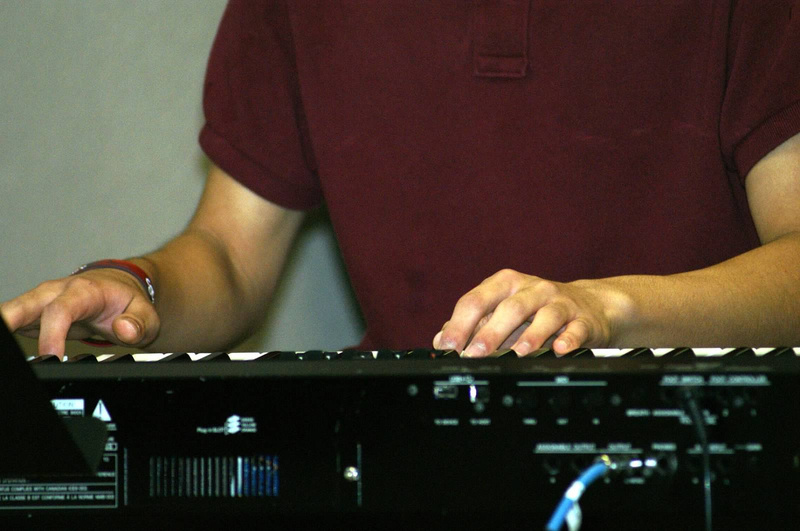 "I love piano lessons at Castillo Music Studio because of all the fun we have with every piece of music we do. Ms. Valerie lets us play all types of music like jazz, rock and roll, classical, and more. We always find a funny thing to talk about too." Playing the piano can open up the student's minds to a world of possibilities! Students, especially children who play the piano don't just develop their musical abilities, they enhance their ability to concentrate in the classroom. The health benefits of learning to play the piano are incredible and you can be the one to set you or your child on the track to success! We make sure our studio is fun and inviting for every student. We work on music that they are interested in and use positive reinforcement to encourage practicing and hard work. We also have theme days and weeks throughout the year to bring in the fun and laughs that can come with learning to play the piano. If you can borrow a keyboard from a friend or family member, that's a great place to start! We recommend a full, 88-key piano or digital keyboard with weighted keys and a pedal. As well, find an appropriate bench or chair for arms to have an "L" shape. Younger students may need a small stool to raise and support legs. Strait Music, servicing the Central Texas area, is a great resource for keyboards and pianos and provide a variety of payment plans for both new and used instruments. They provide piano tuning services as well. Our studio has been a satisfied customer for many years! Craig's List, discount, electronic stores and large Clubs such as Sam's or Costco often have great keyboard deals especially around the holiday season. We use the Piano Adventures series including Lesson, Technique, Theory and Performance. As well, we supplement with Alfred's Masterworks Classics and Scales, Chords, Arpeggios & Cadences. Throughout the year, students may also have a varied genre solo and holiday pieces centering around their personal musical style. We also recommend a portable, digital metronome to practice with at home and bring to lessons. It is also great idea to have a bag or backpack to transport these items. Students play a variety of genres in their studies and performances! Student playing Greig's "In the Hall of the Mountain King" & Disney's "It's a Small World"